What Wood Is Used To Make Wooden Pallets? There are literally hundreds of types of wood, which are suited to a range of purposes. Hardwoods such as mahogany, maple, oak, teak and walnut are classic examples of ancient woods often used in former times to make furniture; however, softwoods such as pine, Douglas fir, spruce and yew are used in many more applications, with pine being the most widely-grown and used wood today and often utilised in wooden pallets. While pallets can be made from a variety of different woods, their composition often depends on their country of origin. This is because pallets are an example of just one part of a much larger supply system. Pallet makers are looking for a wood that is not only fit for purpose but also readily available. When a wood supply is high and readily available, the supply chain to make the pallets is consistent and – most importantly – the price of the raw product is cheap. In the US, the world’s largest producer of wooden pallets, the two wood types most frequently used for pallet wood are oak and pine. This may come as a surprise to some, as oak is a hardwood and pine a softwood; however, whether a wood is a hardwood or softwood has very little to do with its robustness or durability. These terms refer to a wood’s physical structure alone. What’s the difference between oak and pine in wood pallets? Pine is frequently used in pallets because it is a clean product that can be kiln dried without causing any damage. This makes it suitable for shipping and storing food products and pharmaceuticals. Oak is a considerably stronger material; however, to farm and fell oak just for pallets would obviously be expensive. As oak is used in a range of other products, off cuts unsuitable for furniture are sometimes available. As oak is stronger than pine, thinner boards can be cut to achieve the same level of strength. Hardwood comes from trees classified as angiosperms, which are flowering plants. 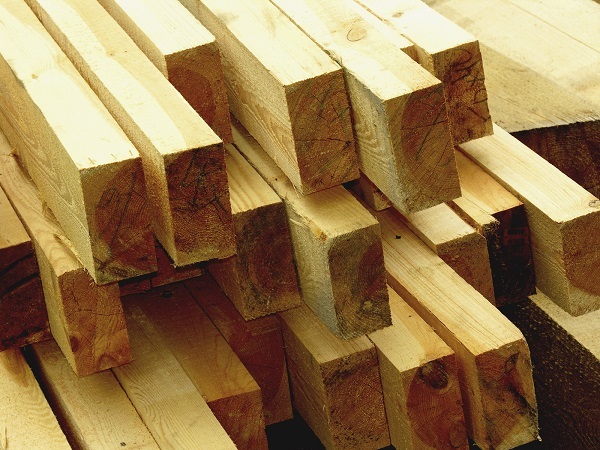 Softwood comes from trees classified as gymnosperm. When looking at different types of trees, you can usually tell which is which. Hardwood trees are bushy, while softwoods are often taller and thinner; however, this is not always the case. As a rule, softwoods are cheaper because they grow faster and are more readily available. They are also easier to cut and prepare. Hardwoods are often more expensive, as they take much longer to grow and may grow in areas that are less easily managed. Given the choice between a hardwood and softwood selection of used wooden pallets, most customers would opt for hardwood; however, what you intend to do with your used pallets should also be taken into consideration. In the end, the choice of wood used in pallets depends on location, use and availability, with different woods having different qualities and benefits.